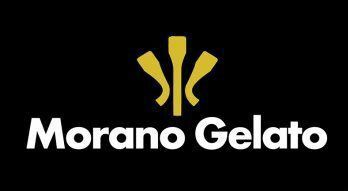 Morano Gelato is a small New England-based company dedicated to promoting the art of gelato-making through its production of authentic Italian gelato in small, concentrated batches. Morano Gelato was established in 2010 by Morgan Morano after spending 6 years living on and off in Italy. Morgan grew up in the Upper Valley and always planned to open a dessert-related business. During college and after culinary school, Morgan gained experience working and cooking in New York City and Italy, the most significant being her work for a Sicilian Gelato Chef who quickly became a close friend and mentor. Morgan appreciated the bold flavors of gelato found in Italy and noticed the lack of authentic gelato shops with Italian flavors in America. Disappointed with products claiming to be 'gelato,' she set out to establish the tradition of gelato-making in America and recreate pure Italian gelato. In May 2010 Morgan, with the financial help of her brother Jordan, purchased her first gelato machine, built and shipped from Northern Italy. She premiered the gelato at the Hanover, New Hampshire Farmer's Market in June 2010. Shortly after, during the first week of July, she moved the business to the back of Rosey Jekes Cafe in Hanover, establishing her first retail outlet. Morgan continued to make the gelato from scratch on premise, offering 6-8 flavors each day. In March 2011 a space on Main Street in Hanover became available, right next to the Nugget Movie Theater. Morgan moved the business and opened her first gelato shop on Main Street. Morano Gelato reopened in May 2011 in the new location with a larger menu, including Italian espresso & hot chocolate, along with a full gelato display case of 13 flavors made on premise each morning. In June 2012, Morano Gelato expanded into a neighboring space, offering a larger seating area and selection of gelato (16 flavors daily). In June of 2015, Morgan Morano opened the second Morano Gelato store in Chestnut Hill, Massachusetts next to Massachusetts' first Frank Pepe's Pizzeria. Morano Gelato Chestnut Hill is owned and operated by Morgan Morano. Morgan Morano currently spends her time between both the Chestnut Hill and Hanover stores. Supporting the local agriculture and economy is important to us. We work with farms and businesses in the community to source important ingredients for our gelato and sorbet and inspire community-specific flavors, such as maple in Hanover, New Hampshire at our flagship store. Even still, many of our ingredients come from Italy in our on-going commitment to making traditional and unique Italian flavors. Gelato is Italian ice cream and is derived from the Latin word for ‘frozen.’ It is a dense, smooth, creamy, and flavorful frozen product that has 3 main differences from American ice cream. Most American ice cream has a butterfat content of 14-25%, while gelato fat content generally ranges from 4-9%. Less butterfat enables consumers to perceive the gelato flavors better, making gelato a much tastier product. American ice cream can have up to 50% or more air churned into it, compared to 20-30% in gelato. Air can double the amount of ice cream produced in a single batch, lowering the quality. The density in gelato not only creates a smoother and richer product, but ensures high quality in each batch produced. However, despite its density, gelato's low butterfat content maintains its lightness, creating the perfect combination of creamy but light. Gelato is usually served at a temperature 10-15 degrees warmer than American ice cream. The warmer temperature reinforces the creamy texture of the gelato and the bold flavors, as they more quickly melt in your mouth.